This blog post contains affiliate links. If you click through and make a purchase, I may receive a small commission (at no additional cost to you). Thanks for your support. I have been wanting Black Forrest cake for what seems like FOREVER. 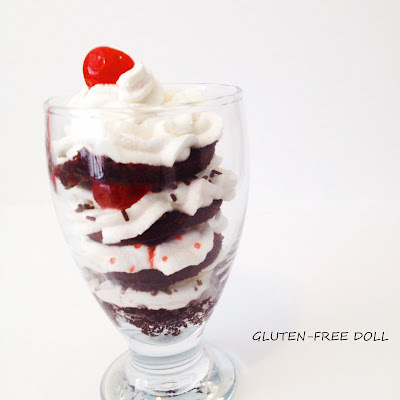 It was a favourite of mine when I was growing up before I was diagnosed with Celiac. To put things in perspective, I have been navigating the gluten-free waters for well over ten years now. 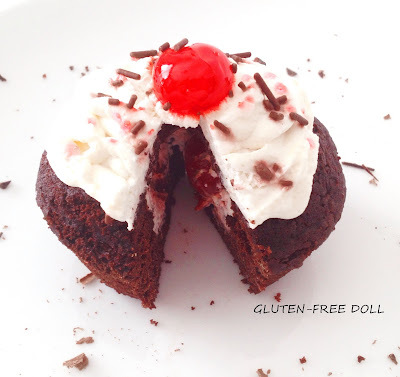 Enjoying some black forest cake, gluten-free of course has been long overdue. 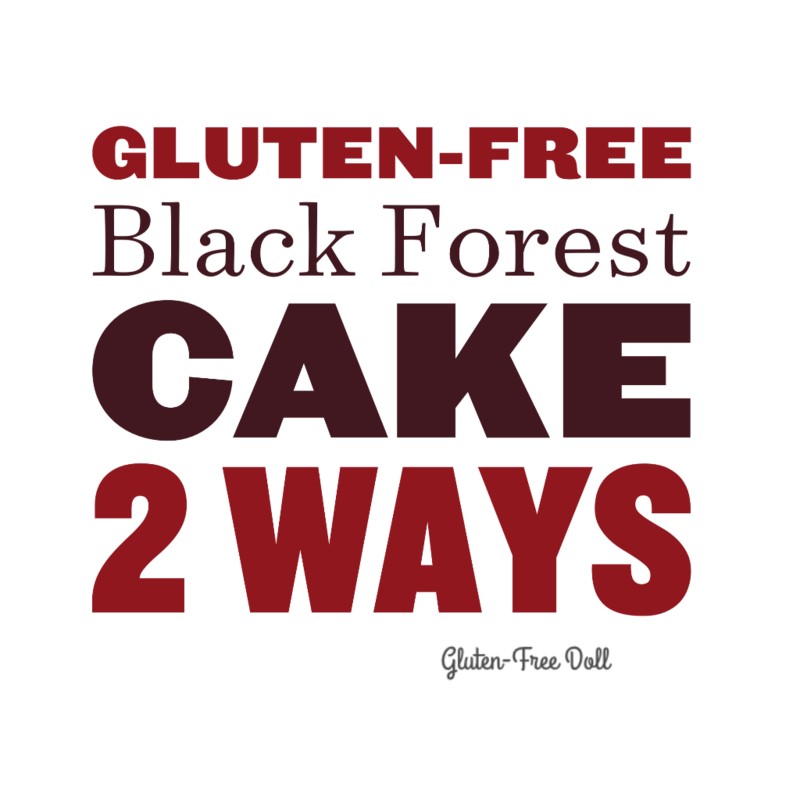 What's a girl to do when she can't find a ready-made gluten-free version of her most favourite cake?! Don't worry I am by no means a super amazing baker, which means you can totally pull this off too! Short-cuts and hacks are my best friends in the kitchen and I used a couple in this recipe. Seriously, it's a piece of cake. All you need for the cupcakes is a boxed gluten-free chocolate cake mix. I used Betty Crocker because I love how moist and fluffy the final product turns out. But, you can use any boxed mix which you prefer. 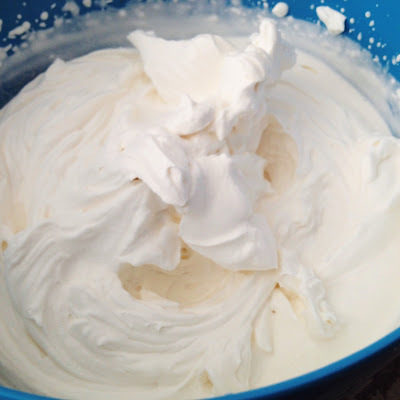 Place above ingredients for homemade whipped cream in a large bowl. Stir to combine. That's it for now, but ensuring everything is cold is super important. Place the beaters from a hand mixer in the bowl and cover with saran wrap. Put bowl, in the fridge for 30 minutes. Once chilled, beat with hand mixer until stiff peaks form. 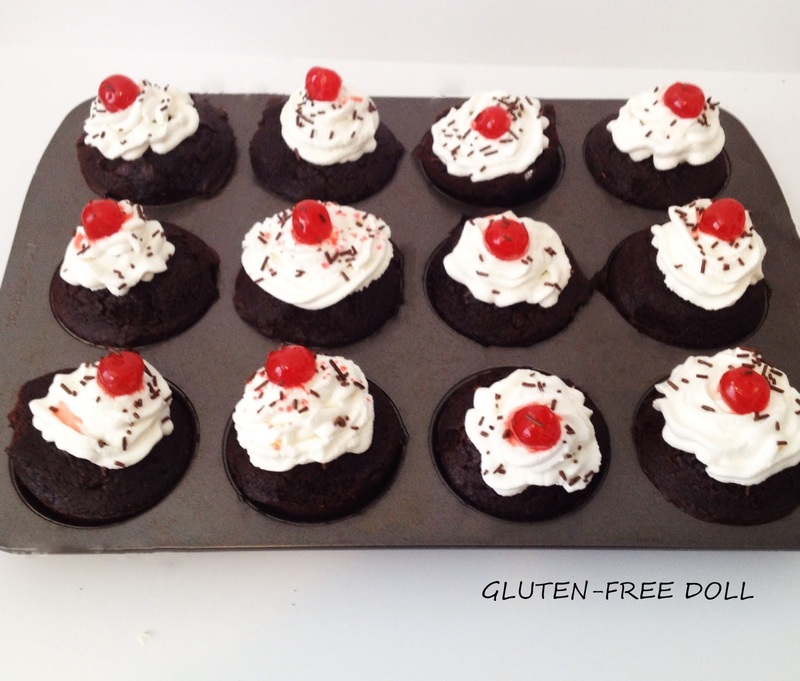 *Follow directions on chocolate cake mix box to make the cupcakes. Once the cupcakes come out of the oven and cool, they are ready to be transformed. First up - deconstructed black forest cake... a trifle of sorts. For my more traditional cupcakes, I used the OXO 1261080BK GG Cupcake Corer . It literally cores your cupcakes with little to no effort at all, leaving room for a surprise filling. Once I had created room for a filling, it was time to assemble. In the cupcakes vacant centre, I layered the whipped cream, maraschino cherries, chocolate sprinkles and red sugar crystals. The top of the cupcakes a capped off with a swirl of whipped cream, sprinkles, and sugar crystals. A single maraschino cherry completes this sweet treat. Have you created anything inspired by a favourite dessert? Let me know below.